We are here to help keep you in good health. The practice covers an area known as ‘The Peninsula’, which stretches from the River Deben in the south to the River Alde/Ore in the north. This is a large (approx 80 square miles) rural area which inevitably affects the way we work. We at Peninsula practice are determined to provide an exceptional service where getting appointments, establishing diagnoses, treating promptly and with personal care are priorities for all of us. The Peninsula practice has purpose-built surgery buildings at Alderton and Orford, both with full disabled access and with fully operational dispensaries. 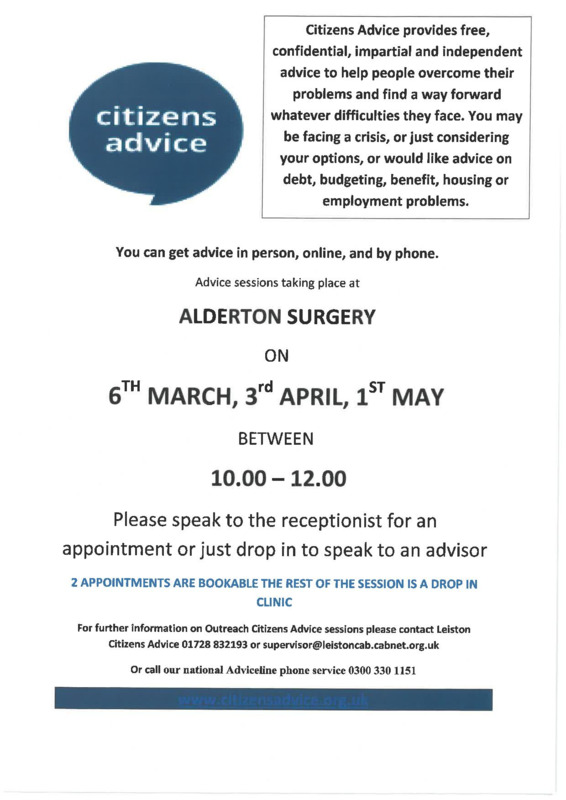 In addition there is a branch surgery at Hollesley Village Hall on a weekly basis, when you can also collect your repeat medications. The practice as a whole is open every weekday from 8.00am-6.30pm at different sites (with a total of 80 hours a week across all sites). Because of the large practice area, it may be necessary in some situations, to travel a little further to another branch of the surgery within the practice in order to be seen sooner. Whilst you may live close to a particular surgery/branch, you are considered a patient of The Peninsula practice & as such are welcome at all sites. We welcome new patients so if you live in the area please get in touch. 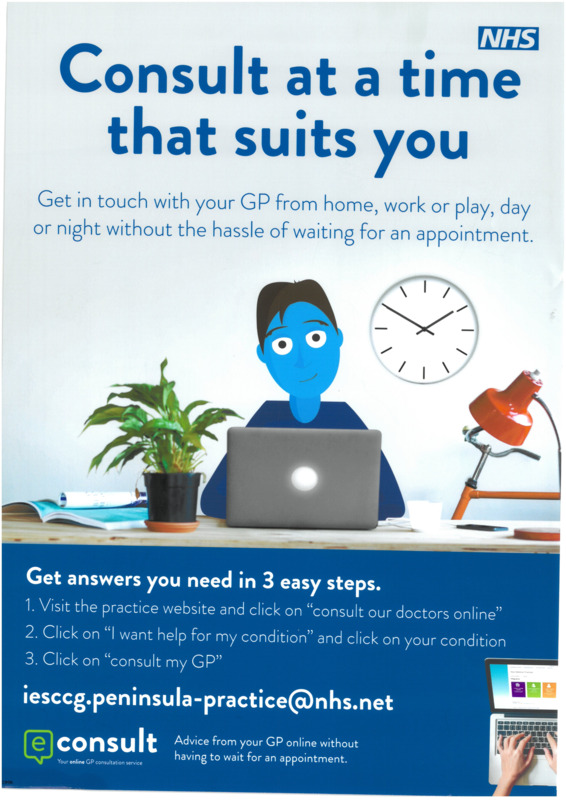 the website or from reception at one of our surgeries.